The ‘miniBlink by Arcam' brings unprecedented High-Definition Bluetooth sound quality, to a very wide audience and represents the easiest and most flexible way to access music from any mobile phone, tablet or computer. Charlie Brennan, MD of Arcam commented “Simply put, the miniBlink sounds better than ANY other Bluetooth streamer made, apart from our own £160 rBlink. The quality is so good, that in demos, most listeners are convinced they are hearing a CD player." Building on the acclaimed rBlink, the miniBlink is the first in the new Arcam mini range of digital micro-components at affordable prices for mass & online distribution. The mini uses the advanced Bluetooth front-end and DAC technology from Arcam’s High-Definition Bluetooth £160 / $300 rBlink, but has been carefully re-engineered to lower the price by 50%. Arcam were the first manufacturer to use the new-generation high-performance Bluetooth chipset from Cambridge UK neighbours CSR and have used the technology and their own years of experience, to make a Streaming DAC that at last delivers seriously good Hi-Fi sound over Bluetooth. 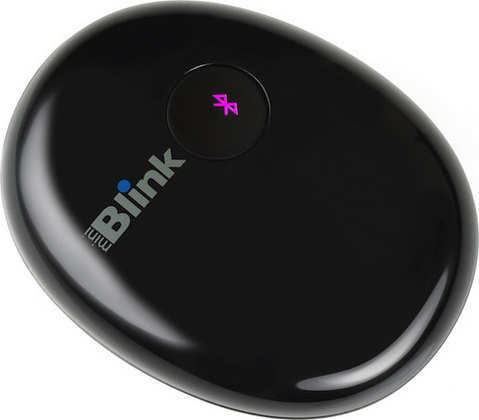 The miniBlink totally restates the performance possible from Bluetooth and opens up Hi-Fi quality music streaming to millions of Android phone owners, iPhone/Pad/Pod users and even people with old Nokia and Motorola phones, not to mention most modern computers and nearly all tablets. This superb sounding Micro-DAC, employs the latest Bluetooth technology from CSR & Arcam called Blue Core 7. Blue Core 7 offers lower noise and lower distortion levels than previous versions. Arcam have further improved performance by adding state-of-the-art jitter reduction, a serious audiophile digital to analogue converter and high-end analogue stages based on their 40 years of experience. The level of performance is so impressive, that most listeners are convinced they are listening to CDs! The design uses a high-density moulded enclosure shaped like a pebble, with an internal aerial and a 3.5 mm output jack. It is powered by a micro-sized USB power supply from the mains or from a USB socket on a computer or indeed from the USB socket on the back of the rCube portable sound dock. 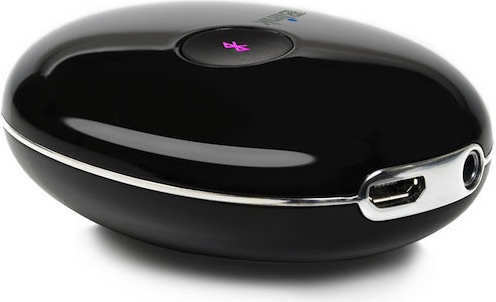 The miniBlink Bluetooth DAC is intended for use with ANY music carrying Bluetooth device. Pair it with a smartphone, tablet or laptop and it will receive digital audio signals wirelessly and then output line-level analog audio through its stereo phono sockets. All devices we've tested automatically transmit with the best possible CODEC as the source. They have an initial "chat” with the miniBlink and decide what is the the best both can send/receive, so if the source can do aptX, it will. Ditto for AAC on iPhones etc. Using audiophile grade components and more than 40 years of analogue and 25 years of digital audio experience, Arcam have engineered the miniBlink to be a simple, "plug and play" device. Simply connect an analogue cable from the miniBlink to your Docking System, Hi-Fi or AV system, then switch on, pair your phone and enjoy! All analogue cables required, a compact global power supply.